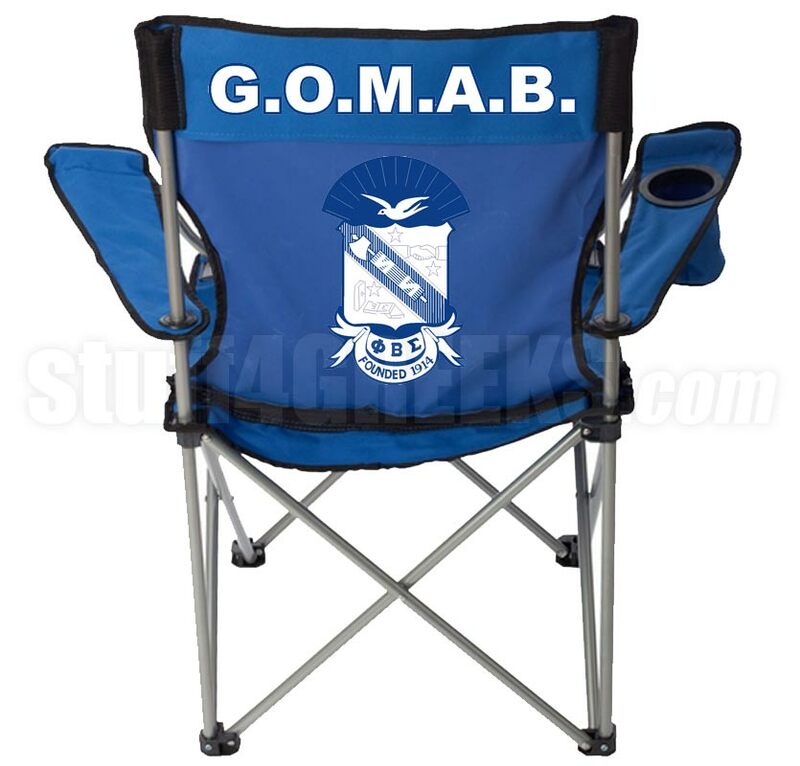 Take it easy on this customized folding chair featuring a fabric cup holder and handy carry bag. 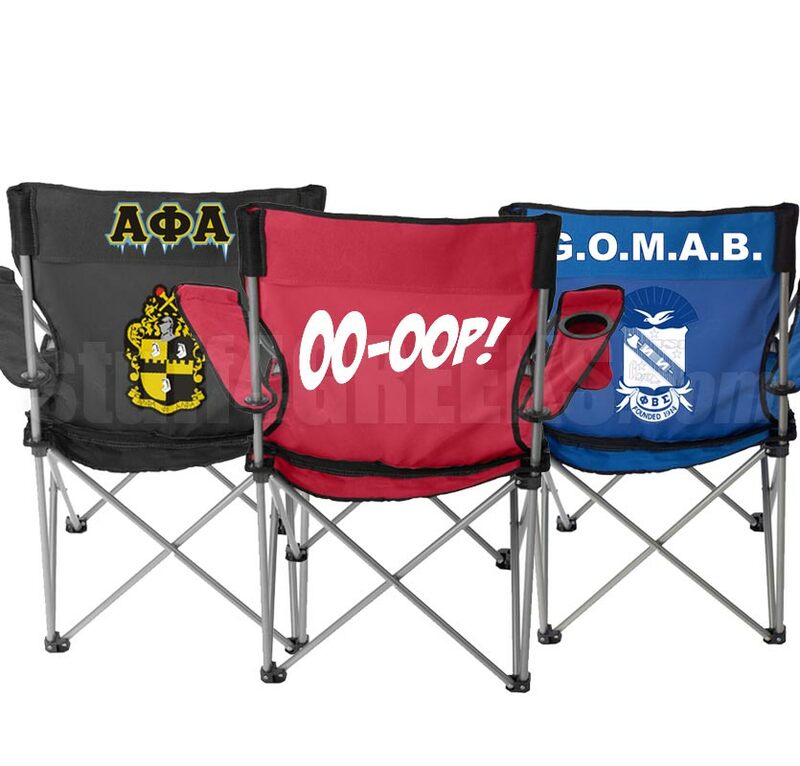 Great for tailgating, picnics, cookouts, outdoor concerts, and more! 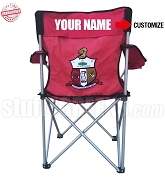 The price includes your name, or any other custom text, stitched across the upper back of the chair. You can also add artwork to the back of the chair. Please note however, that if we embroider an icon to the back of the chair, some of the stitching will show through to the inside of the chair, in the seat area. Q: is there an ability to of 2 lines of text on the rear of chair. I have my line name, I would like to include my chapter and year below it? 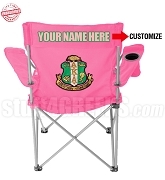 A: Yes, you can have 2 lines of text on the back of your lawn chair. Just describe what you want in the Special Instructions box when you place your order. 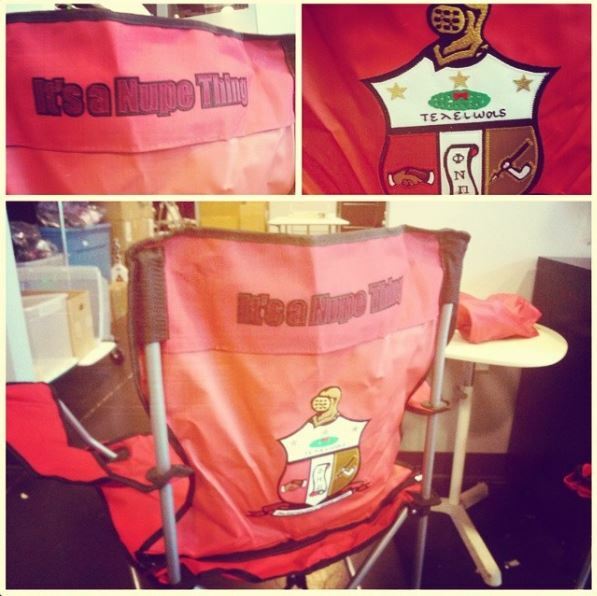 A: Yes, we can certainly make a Philo lawn chair for you! You can create it here.